EZ Rankings was founded in 2010 and is based in Delhi, India. We provides digital marketing services including search engine optimization(SEO) services, website development, local SEO services, conversion optimization, SEO Reseller Services, Social Media marketing, responsive website design, analytics and tracking, and reputation management. 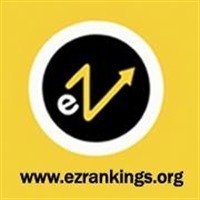 EZ Rankings crossed several milestones to become one of the most reliable SEO Company in India served clients in the USA, Australia, U.K., Europe, France, Canada etc. We have great proven record managed more than 2000+ campaigns with amazing results. We have a highly talented, dedicated, energetic team of digital marketers, copywriters, researchers, web designers, and web developers who understand the fact that every website is different, the target audience is different & so are the optimization requirement on them and deliver great results and provide high customer satisfaction. In case of any queries, feel free to contact us!